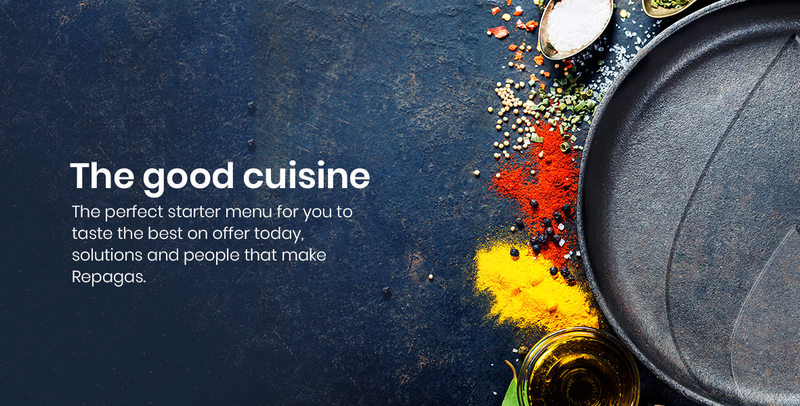 ﻿ Good cuisine, Repagas Blog - Get to know the latest trends and more! After almost 3 months of hard work, the new kitchen of El Bohío restaurant is underway. The restaurant of Pepe Rodríguez, jury of Master Chef Spain and Michelin star, has relied on us to assume the reform of his kitchen. An exciting project that we have undertaken from our new service Repagas Concept, with great enthusiasm and professionalism. The main objective was to create a kitchen that covered the need to grow, and have an adequate infrastructure to the kitchen rhythm of a restaurant in this category. 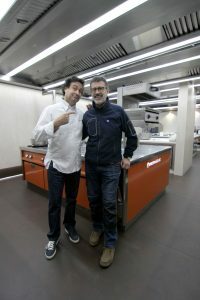 It was a challenge of great importance, since the demands of an international chef's kitchen and the category of Pepe Rodríguez, were very high. Making a good optimization of the spaces we delivered a solution to all workflows and internal circuits of the kitchen. An integral project that consisted in enabling four work spaces: The cooking zone, the heart of the kitchen, the laundry plunge, the waiters office and the pastry area. Gas cooker CG-920 / M of great design, power, functionality, safety and versatility. With fires that allow a high performance, created to offer the maximum possible calorific power. Exterior made of stainless steel. COUP DE FEU / Radiant plate. CG-910 / RM. Gas cooker, Repagas radiant plate made of cast iron to promote temperature transmission and ergonomic heat resistant polyamide controls. Repagas cooker with large fires, high performance, to offer the maximum calorific power. It has an excellent distribution to meet the service level of waiters at a restaurant like El Bohío. In it, workflows are facilitated to speed up the commands. From Repagas Concept, our new comprehensive advisory service, we have implemented the complete solution for this area, including the necessary washing equipment: as a mechanical dishwasher and a hood dishwasher. 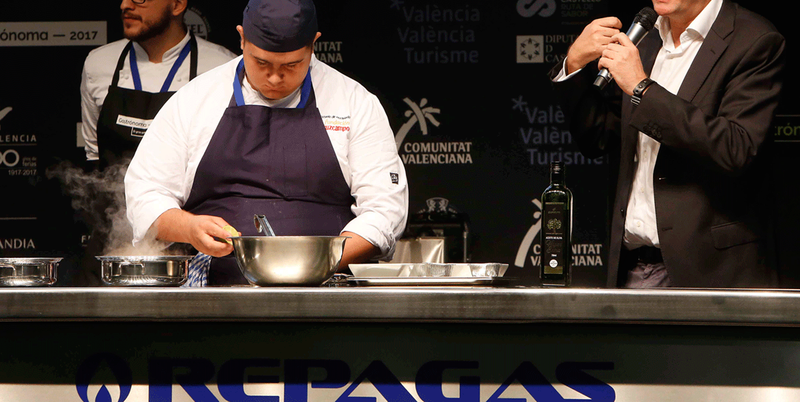 Discover everything that happened in Repagas Master Tapa Contest, 1st edition. 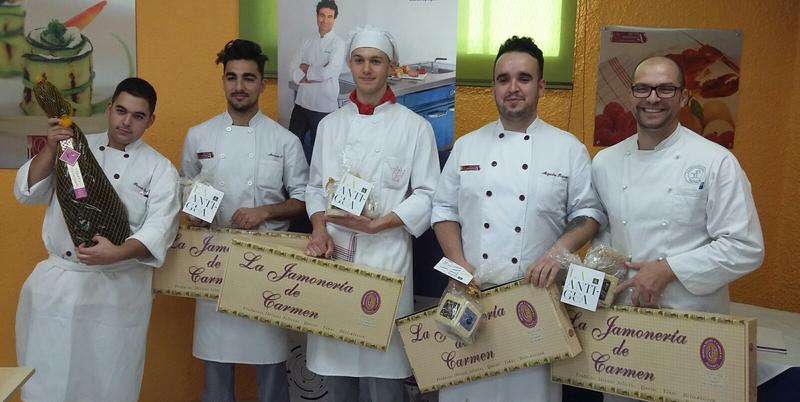 During the months of September, October and November we launched a call to cooking schools of Castilla y León. 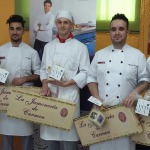 The students had the opportunity to share and put into practice the culinary creativity to participate in Repagas Master Tapa contest, creating a tapa with local products from the region. 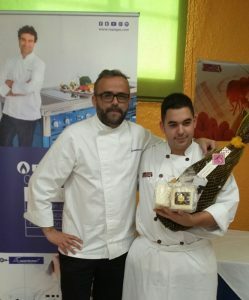 ALEJANDRO JOSE RAPOSO NUÑEZ, With his "Coulant de Tostón"
ARMANDO SANTOS TORREJÓN, with his cover "El Capricho de Armando"
GUILLERMO MARTÍN MARTÍN, With his "Toast of chestnut bread with apple compote pippin and threads of cooked ham"
RICARDO GÓMEZ MARTÍN, with its tapa "Iberian shell in Thai marinade with sprouts and basil"
JESÚS LORENZO PALOMINO, With his "Toast of Ham and Cheese"
Pablo Martinez: Repagas Corporate Chef. Leyre Gómez: Marketing and Communication Manager of Quesería la Antigua. Felipe Sánchez: Commercial Director of Jamonerías del Carmen. How do you set up a food truck? In recent years, the food truck phenomenon has taken off in Spain and it seems that it is here to stay. This tradition, imported from the US, which emerged back in the nineteenth century, arrived in 2014, making a big impact with the first Street food in Barcelona. This trend has continued to attract followers, and as a result, an increasing number of cities are hosting festivals featuring food on wheels. Their popularity lies in the variety of flavours which are on offer, capable of delighting the palates (and pockets) of the most demanding foodies. 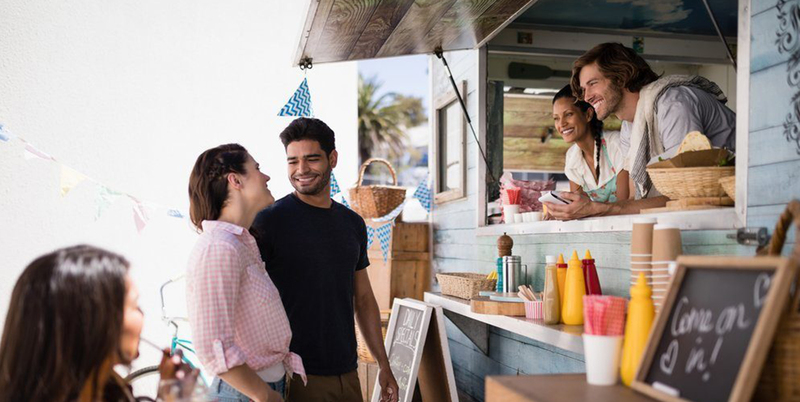 It is not surprising that more and more catering companies are deciding to try their luck with food trucks, since it is an opportunity to create their own business and reach a wide audience at a reasonable cost. At Repagas we are aware of the evolution of the market and of the needs of the most demanding customers, and as such, we want to tell you the essential factors for fitting out a food truck with the best catering equipment. The vehicle will be your starting point. You must consider the culinary experience that you wish to offer your customers. Depending on the composition of the menu and the products that you are going to serve, you should choose one type of vehicle or another, but it must always be an approved model. Furthermore, you will need to be up to date with the relevant licences. You will need to have a food-handling licence, be registered for trade tax in order to use your vehicle, and have third party liability insurance. You will also need a permit from the council of the town in which you plan on setting up. Important: do not forget the decoration! The sense of sight is fundamental. Remember that we eat with our eyes! In the same way as you pay attention to the presentation of your dishes, a food truck with an attractive design can increase your chances of attracting more customers. Time is a key factor, especially when food is served on wheels. However tasty your menu is, your customers will not be prepared to wait half an hour to eat it. In order to be able to serve them in a reasonable period of time, it is essential that the cooking area is fitted out with catering equipment which enables you to cook as quickly and efficiently as possible. Repagas has a wide range of products manufactured in stainless steel, designed to be adapted to fit the dimensions of your food truck. These include everything from small industrial kitchens, fry-tops, grill plates, barbecues, fryers… even churros making machines! You can see our entire range of catering equipment products here. Preserving your foodstuffs in optimum condition and preventing contamination is the main objective of the cold area in your kitchen. In addition to traditional refrigerated cabinets and display cabinets, one of the items that can help you to plan your kitchen is the blast chiller. Repagas blast chillers enable you to chill foodstuffs quickly without altering their properties, so as to be able to enhance them later and obtain the best flavours. Every kitchen needs a work space in which to prepare foodstuffs before cooking them. Repagas neutral elements, manufactured in stainless steel with antacid varnishes, will ensure that working in the kitchen of your food truck is much easier and more comfortable. 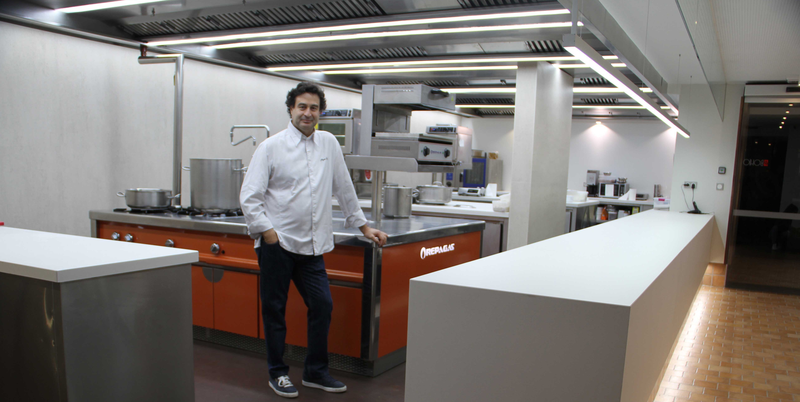 In an interview for Proveedores Hosteltur, Sergio Isabel, commercial director at Repagas, reveals the importance of having good equipment in industrial kitchens, and how this affects the end result of the work of professionals in the catering sector. “The kitchen is the belly of the beast in any catering establishment, be it a restaurant or a hotel, not forgetting all of the large entities. As such, it is vitally important to have the right equipment in order to offer our customers a worthy product, such as combined ovens. In the case of Repagas, the company is making a huge effort to improve its positioning in the Canal Horeca. The key is adaptation, according to its Commercial Director, Sergio Isabel. 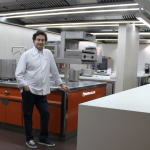 Q.- In general, what is the current situation of kitchens in the Spanish catering industry? Do you think that they need investments to update or improve them? A.- Catering companies have made significant changes to their offerings and the quality of their services, looking for differentiation. Offering spaces where the customer experience is unique and very comfortable. The sector has evolved over time, with the objective of satisfying new consumer demands, investing in innovation in order to improve work processes, so as to be able to offer high-quality cuisine, in line with new tendencies. The chef plays a fundamental role in such spaces, with a high level of training and professionalism. As such, Repagas has responded to the Canal Horeca requirement, by incorporating a corporate chef in its team, Pablo Martínez, who has solid, extensive experience in the sector. Q.- What do catering professionals currently ask for in terms of kitchen machinery and equipment? A.- Professionals in the sector are increasingly looking for innovations and improvements in their work processes, hence the importance of selecting kitchen equipment manufacturers who are aware of this evolution, such as Repagas. The current culinary offering is increasingly focused on the optimisation of work processes and achieving profitability and improvements in production, increasing the consumption and usability of combination ovens in work processes. Techniques such as cooking at low temperatures and vacuum-packed products have meant that the consumption of combined ovens is increasing, such as that which Repagas has in its portfolio. One of the characteristics is the ECO energy-saving function in cooking and washing. Q.- Is kitchen ‘customisation’ increasingly common in both restaurants and hotels? 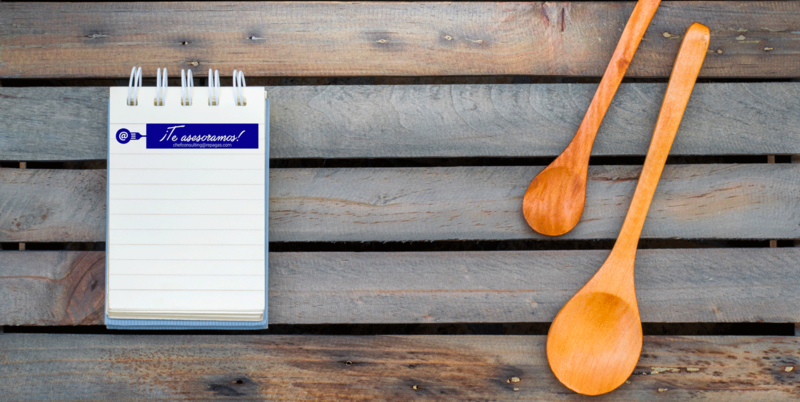 Which changes has the widespread appeal of showcooking brought to your offering? A.- Catering has evolved over time, with the objective of satisfying new consumer demands for greater quality. Meanwhile, tendencies such as showcooking require kitchen equipment manufacturers to adapt to each client, customising their kitchens as much as possible, in order to adapt to the culinary offering. Q.- Of which projects recently carried out by Repagas, do you feel most proud and why? A.- Above all, investing in the digital transformation, with platforms and solutions which make it possible to be closer to the client and to offer solutions which offer greater optimisation of work processes, in order to give customers the maximum amount of information and support with regard to the products offered, as well as an offering which is tailor made for each professional. Hence, the Repagas Concept projects which offer professionals from Canal Horeca a 360º solution. The most recent project with a turnkey solution was delivered last October. It was for the Bohío Restaurant, whose owner is Pepe Rodriguez, which has one Michelín Star. Not forgetting that Repagas is in the middle of improving its manufacturing processes, incorporating Lean Manufacturing and, also, talent to boost RDI, amongst other initiatives”. Whether you already have a restaurant or you're thinking about setting one up, we can help you at Repagas. We have used our experience as a leading manufacturer of catering equipment to join forces with Pepe Rodríguez, Michelin star chef. The purpose of this alliance is to offer you, if you are looking to start or update your catering business, support and advice throughout all the steps of the process so that your business is successful and your industrial kitchen is excellently designed. The first thing that we will establish with you is who your value proposal is going to be aimed at in order to create a design according to your needs. After that, our mission will be to seek a sustainable investment to achieve your goals and start to operate with total control of the investment, deadlines and results. Adequate and personalised equipment for every type of business. Appropriate design for your kitchen space. Training in the use of the equipment and how to get the most out of it. 3D Visualization of the project with our virtual reality tool, unique in the sector. Together we will deal with every part of the project with the passion of a committed and experienced team that will focus on quality, competitiveness, differentiation and speed so that you have your own restaurant ready in record time If you want to know more, click here. 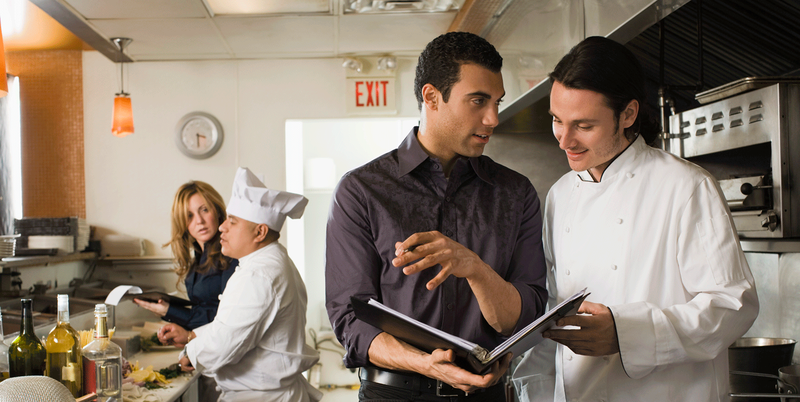 The boom of the kitchen sector has arrived, and with it we are seeing more and more potential apprentices and chefs. Reality shows about cooking have opened a new world to discover, where many have found a vocation. Being a chef requires passion, tenacity and a lot of discipline, and involves many hours of work and practice to achieve the perfect dish. 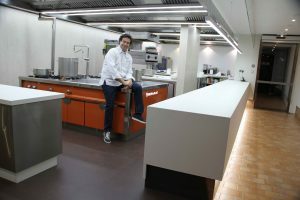 To achieve perfection and balance techniques and flavour, the professional kitchen space should be ideal, especially if we are facing a group of students eager to learn. At Repagas we are passionate about cooking, and so today we want to give you our advice for equipping your cooking school with the best catering equipment so that students can enjoy a space to learn the craft and become inspired. Cooking schools currently have a variety of areas for the training of their students. The main classrooms are rooms for students in which the kitchen is the focal point, where the chef teaches his techniques and knowledge. These types of venues must have, as a minimum, a large preparation counter, a kitchen, and a combi oven, as well as the most common kitchen utensils and minor equipment. Another important area within a cooking school are the workshops. In these kitchens students will spend most of the time practicing their creations to perfection. The fundamental factors when equipping these types of areas are quantity and space, as students will be working simultaneously most of the time. The workshop kitchens should be spacious and with duplicate equipment, it could be said that designing and configuring this type of space does not differ much from a restaurant with a large number of diners. The workshops need large preparation and storage surfaces with neutral stainless-steel parts, a large industrial kitchen with several burners so that pots and pans can be placed regardless of size, several ovens for cooking at the same time, refrigeration and washing equipment, among others. As a last important recommendation when equipping any kitchen space, equipment should have rounded corners and edges to prevent accidents, and surfaces should be smooth without joints as well as being easy to clean and assemble. In addition, we recommend that the legs of the equipment have a spacing of 15 cms with the floor. We hope these tips will help you, leave us your comment and tell us about your experience in cooking schools. In Repagas we don't stop! The contact with our customers is one of the main engines of our business. After the great experience lived at Host Milan, we went to Valencia to present our latest products at the Gastronoma fair with our delegation from Levante. The fair was celebrated from November 4-6 in Valencia, becoming once again a major event in the gastronomy sector. Overall, more than 200 participating brands, including wineries, manufacturers, distributors, machinery and equipment firms, agri-food industry, service companies, public and private institutions, specialized media and professional groups. 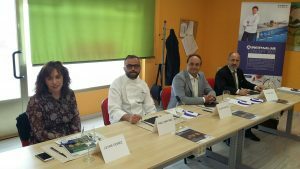 An open forum to position Valencia at the head of culinary culture. The audience experienced and enjoyed tastings, workshops, live cookings, debates and much more. 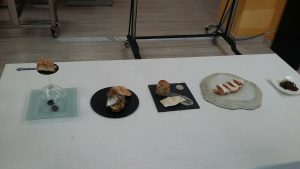 Among the novelties of this year stood out the Popular Contests of typical dishes of Valencian cuisine, which were held every morning in the Cooking space. In addition, there were different spaces such as "The Central Kitchen", "Gourmet Bar", "Wine Tunnel", "Dquesos", among others. The "Central Kitchen" space, the center stage for Gastronoma, was the place of live demonstrations of the great chefs. This edition featured Michelin stars such as Alberto Ferrúz, María José San Román, Miguel Barrera and Manuel Alonso. And, likewise, the space paid tribute to the generational change in the sector, by having great restaurants that have passed the leadership to family members. In this way they manage to strengthen the business, a concept tha we at Repagas understand and care about. Bars, taverns and new concepts, as well as interior kitchens were protagonists on stage. 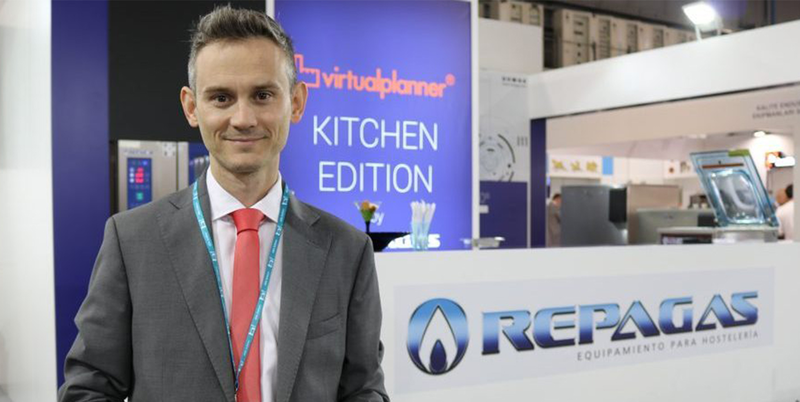 Repagas had a double presence: on the one hand, a Stand in the show room where we showed a complete equipment to meet the needs of the most demanding Chefs. On the other hand, Repagas installed in the space "Central Kitchen", the kitchen and work table located in a unique place and protagonist, which served as support in talks of great chefs and Showcookings for visitors. We leave you below photos of the great experience lived at Gastrónoma. Don't miss it ... Until next time!